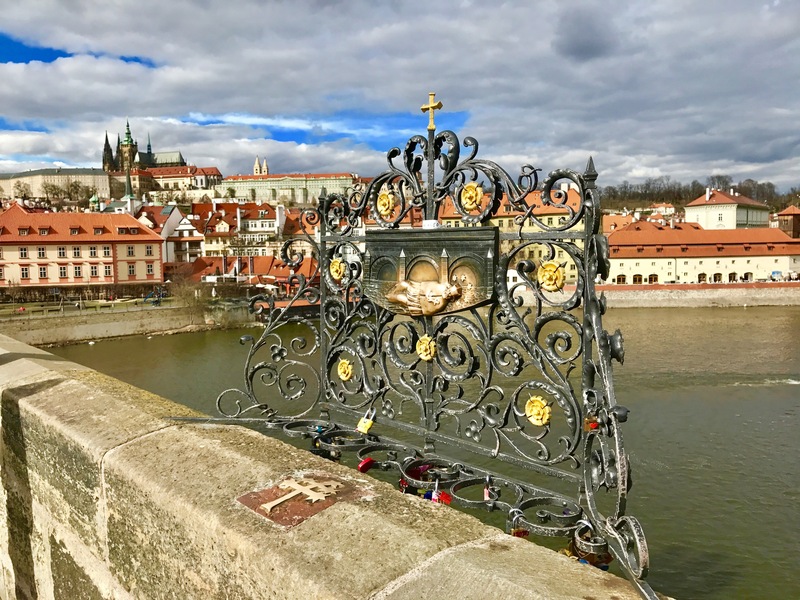 Prague – in the run-up to my trip, I just knew „the golden city“ because of the Charles Bridge, the Prague ham and the German Embassy, ​​from which Hans-Dietrich Genscher approved the departure to Western Germany to GDR refugees in 1989. 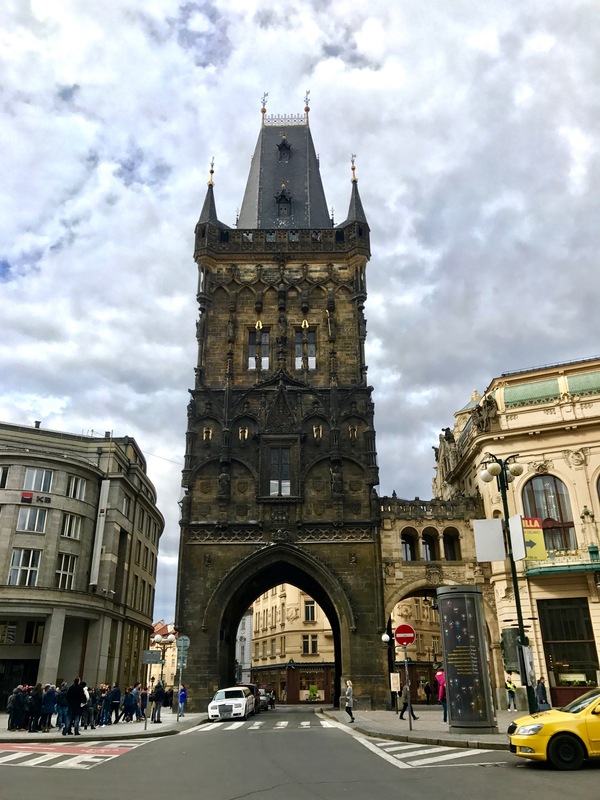 Since I was always enthusiastic about my previous trips to Eastern Europe, Warsaw and Odessa, it was a good idea to travel to the capital of our neighboring country for a short city trip. 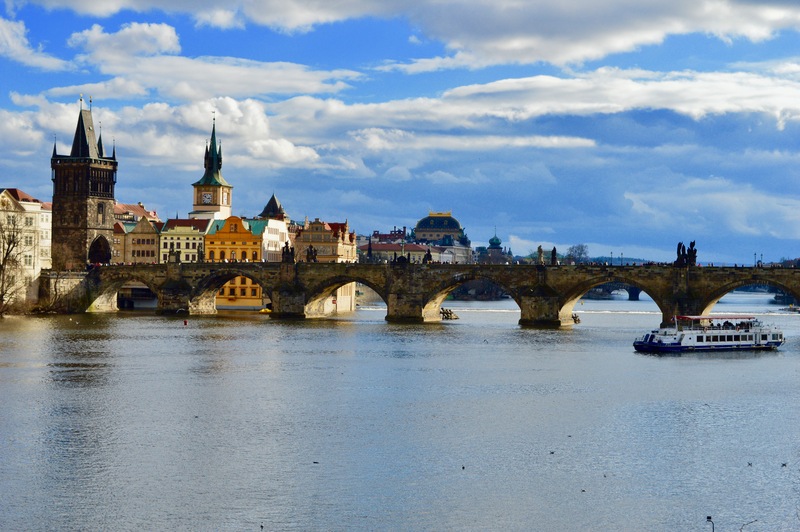 Prague has neither the sea nor as many sights as Valencia or Lisbon. 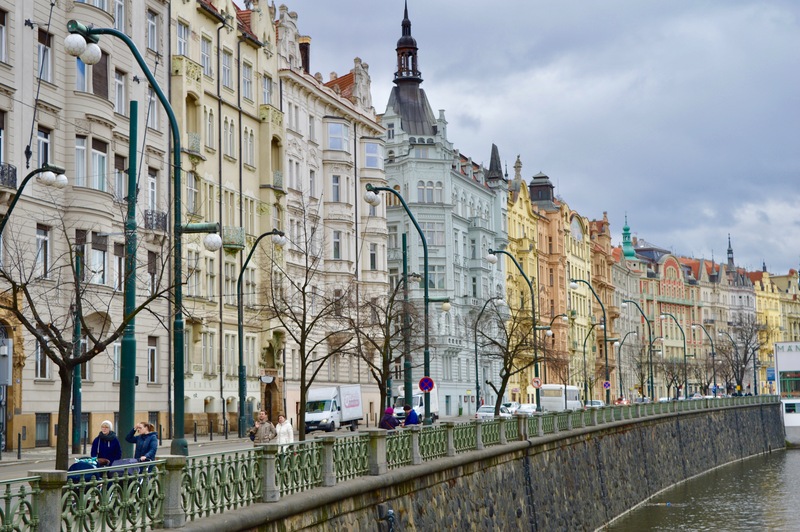 Nevertheless, or just because of this, other things came to my mind in Prague, which remind me of the fascinating facades of the houses, the well-kept pedestrian zone and the glittering Vltava in the sun. Enjoy a freshly baked tree cake in the sun – so tasty! 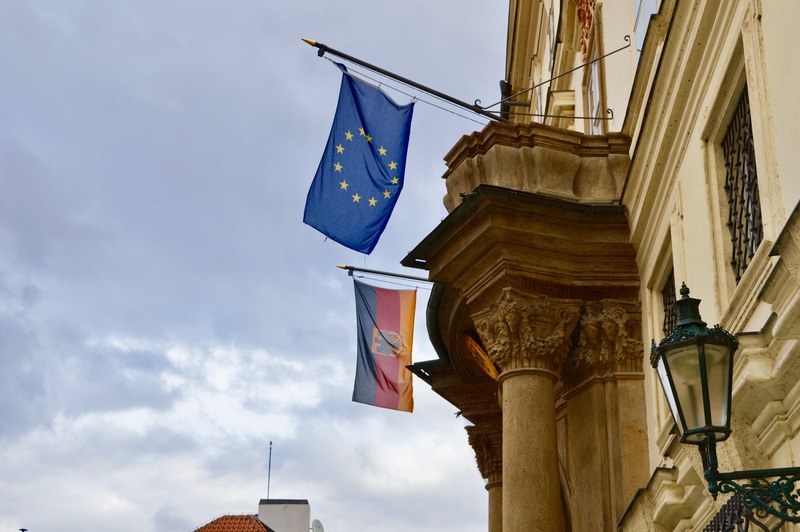 Stand in the garden of the German embassy and see up close where history was made – goose bumps guaranteed! 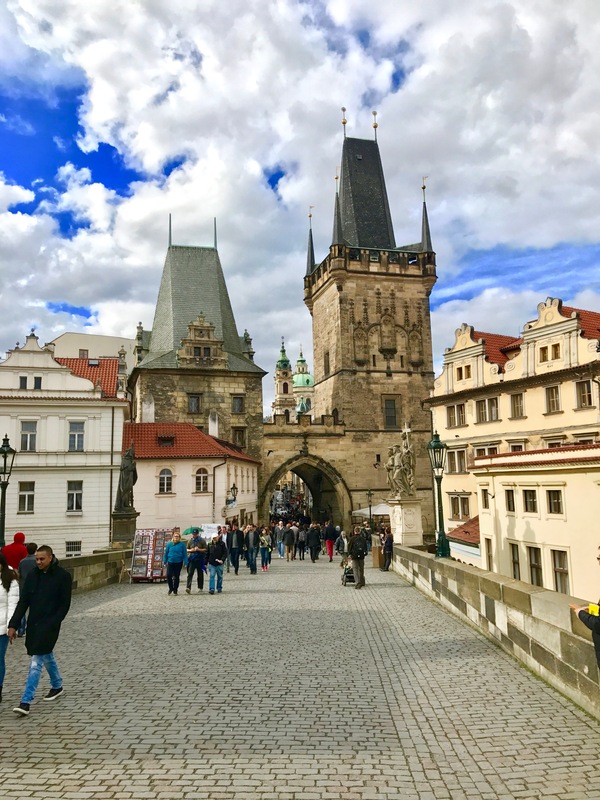 Stroll peacefully over the Charles Bridge and pay attention to the jugglers there – unforgettable! 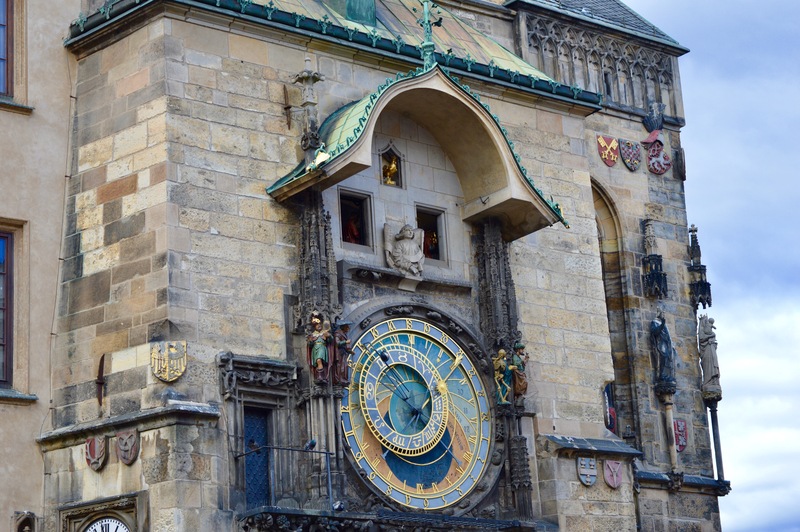 Relax in the old town and watch the bustle of the town hall with its famous astronomical clock – fantastic! Finish the day in one of the numerous bars on Dlouha street – cheap, tasty and great! flight in the Business Class of Air Dolomiti; the return flight was operated by Lufthansa. 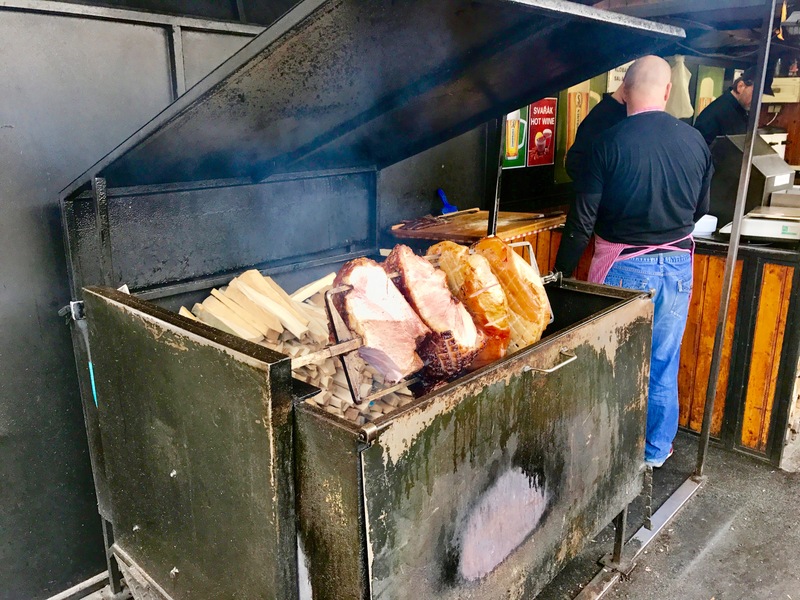 Click here for a separate review of the flight in Business Class. 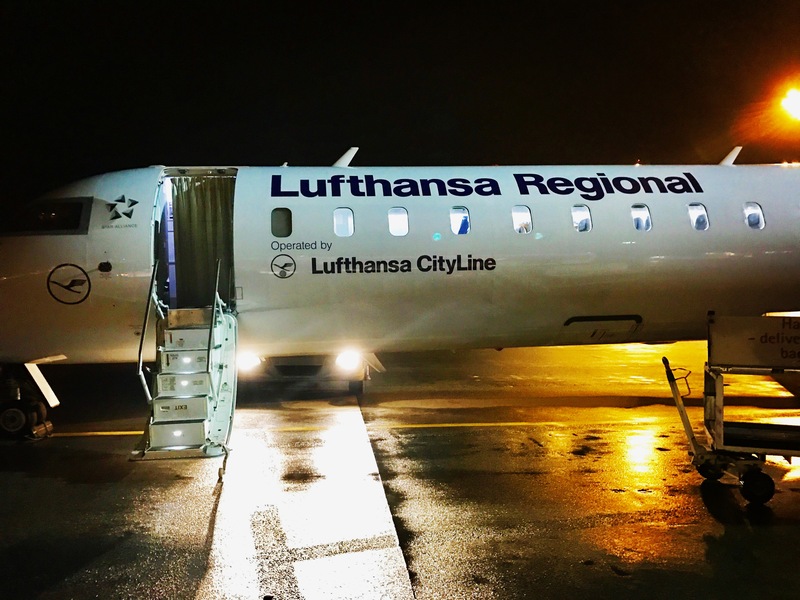 Find out more about my stay at the Lufthansa Business Lounge here. 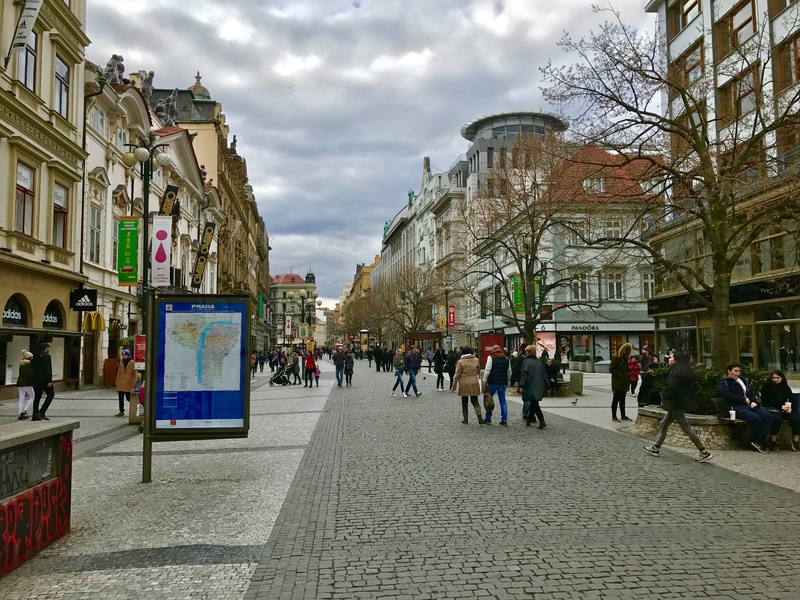 During my stay I slept in the 4 star hotel Clarion Prague Old Town, which is in walking distance to the old town and the pedestrian zone. Click here for a separate review about my stay in this hotel. The huge Palladium shopping mall is just a five-minute walk from the hotel. All famous brands are represented on the 6 floors and the entire top floor is a large and beautiful food corner. Right behind the shopping mall is the beginning of the clean pedestrian zone. 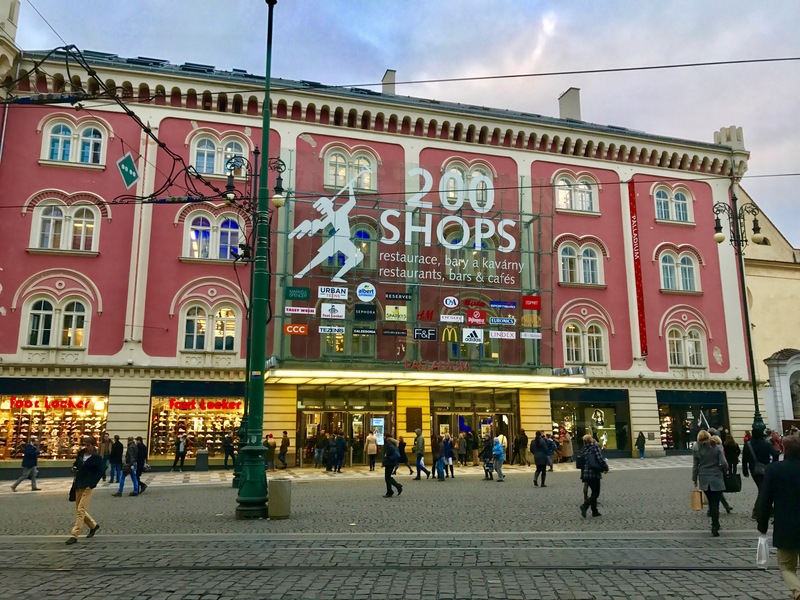 Here you will find everything the shopping heart desires – from international brands to souvenir shops. 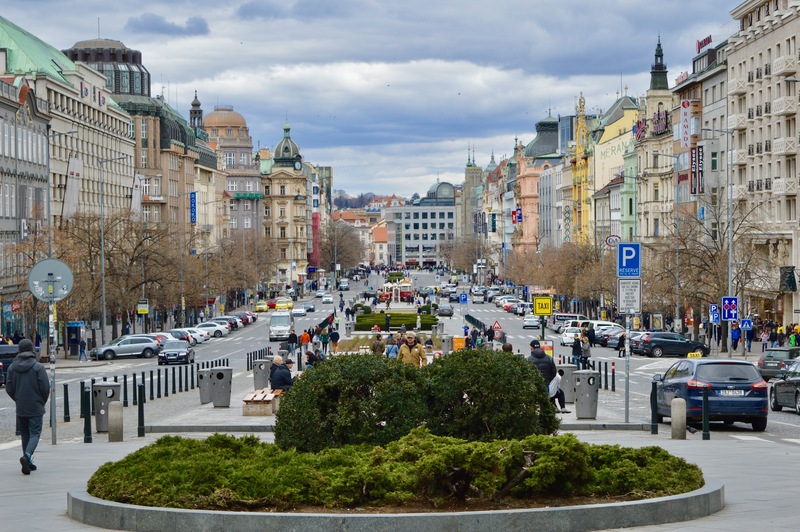 … the most famous square in Prague at the end of the road – the Wenceslas Square. 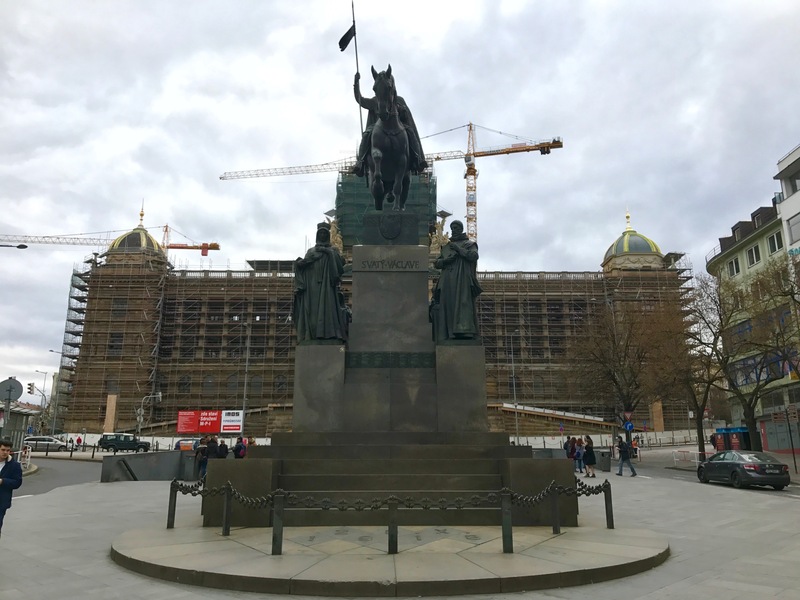 Unfortunately the National Museum was hidden by a scaffolding; but its great impression, size and gilded domes were obvious. 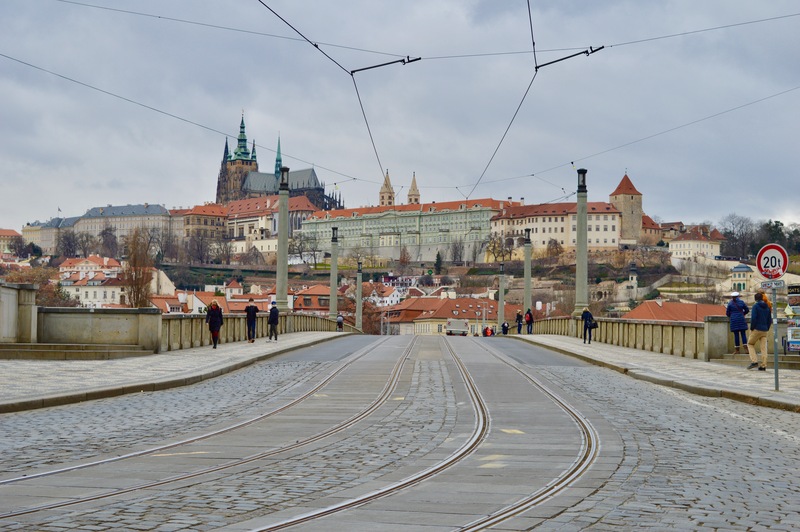 The Charles Bridge and the Castle of Prague. 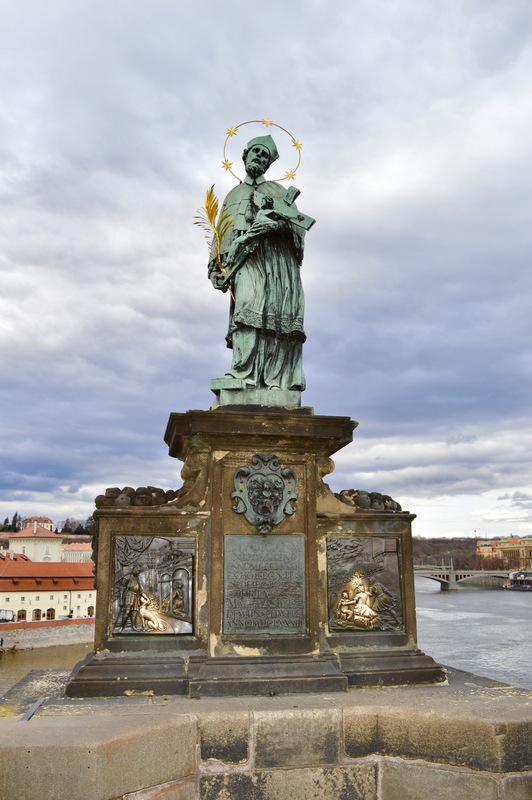 Statue of Nepumuk from 1683. Here, on September 30, 1989, the minister of foreign affairs Hans-Dietrich Genscher had authorized 4000 GDR refugees to travel to Western Germany with the probably most famous half-sentence of history. The end of his sentence „We came to you to tell you that your departure today …“ has disappeared in the cheering storm – it was „… became possible.“. 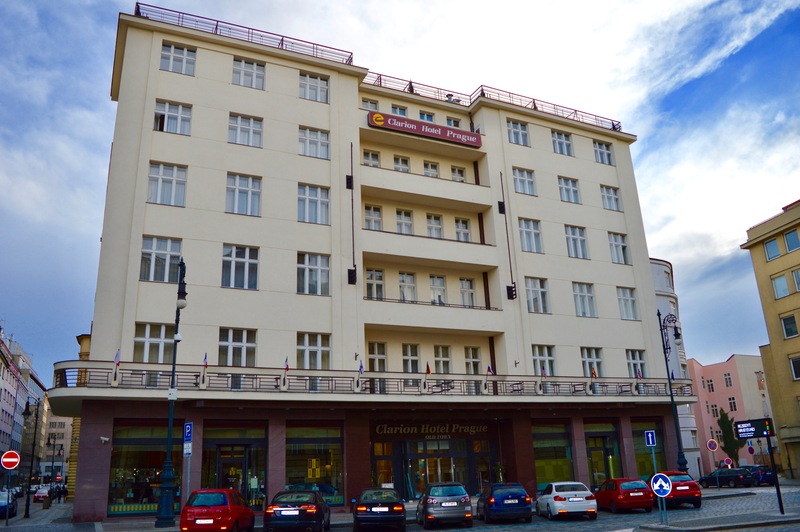 Several international companies have their headquarters in this 9-storey building directly next to the Vltava. 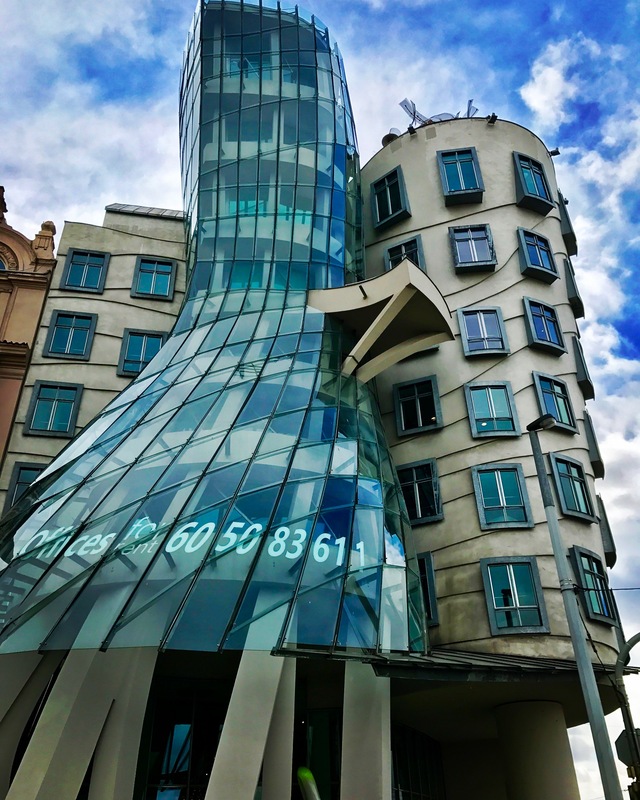 The glass construction of the house, completed in 1996, is intended to symbolize a dancing woman next to a gentleman (right side). 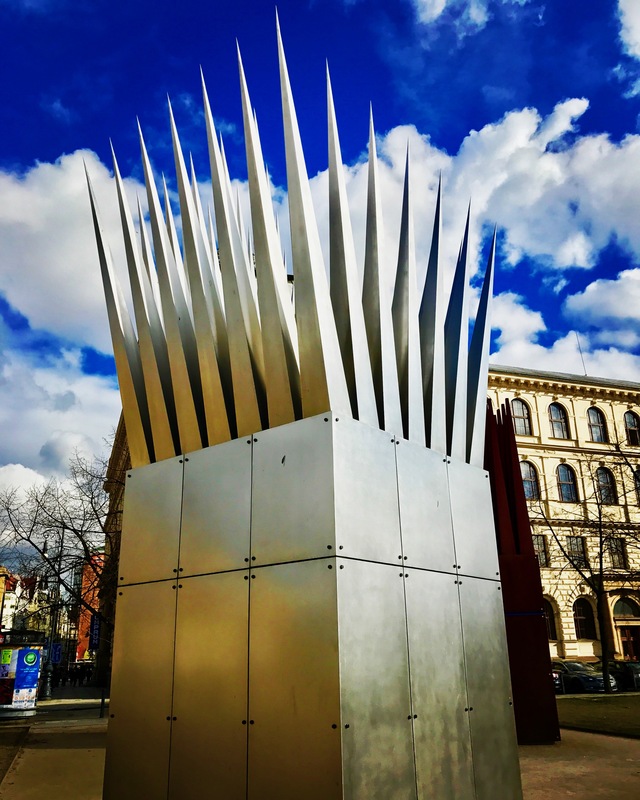 When you follow modern art objects and the smell of freshly grilled Prague ham, you will find the pulsating Center of Prague – the Old Town. 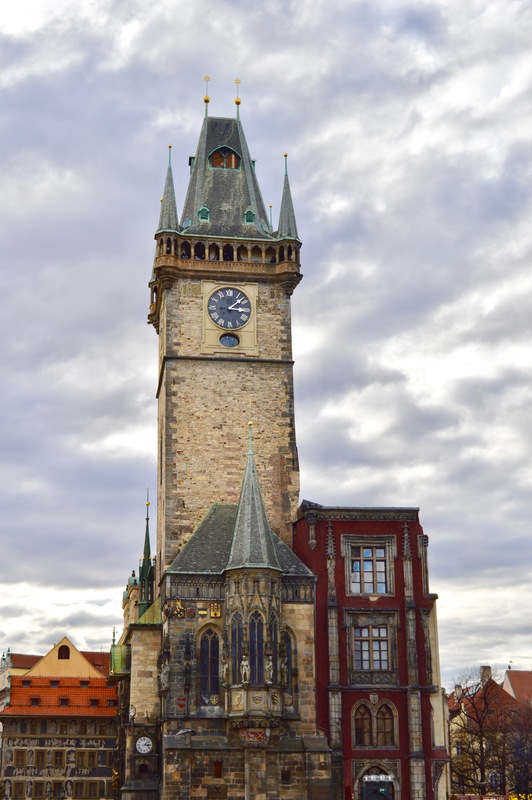 The heart of this area is the great town hall with its world-famous astronomical clock from 1410. 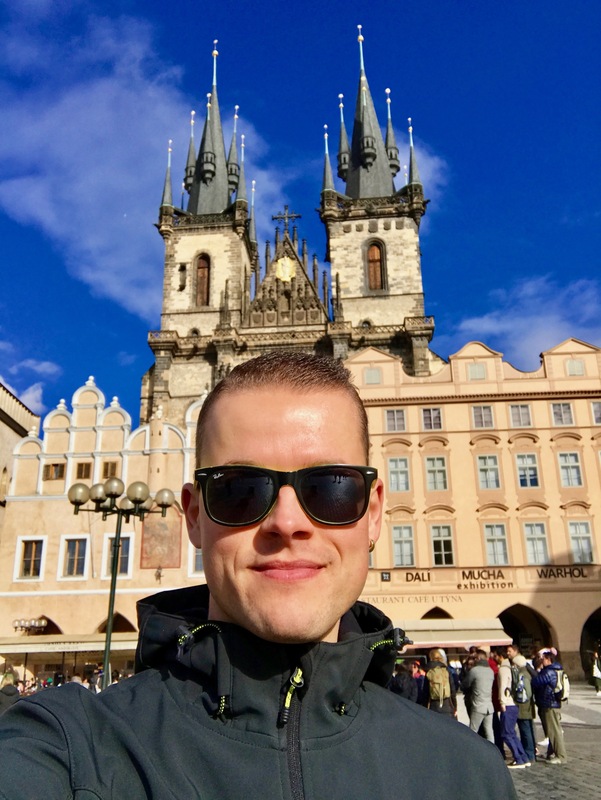 Right from here, from the historic old town, I say goodbye to four exciting days in Prague. 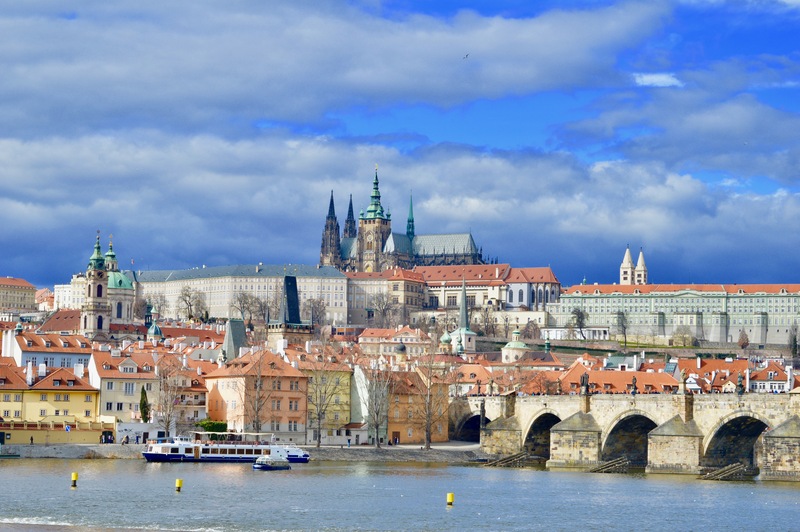 Vltava, Charles Bridge, Embassy – the Czech capital presents itself as a fairy tale town. 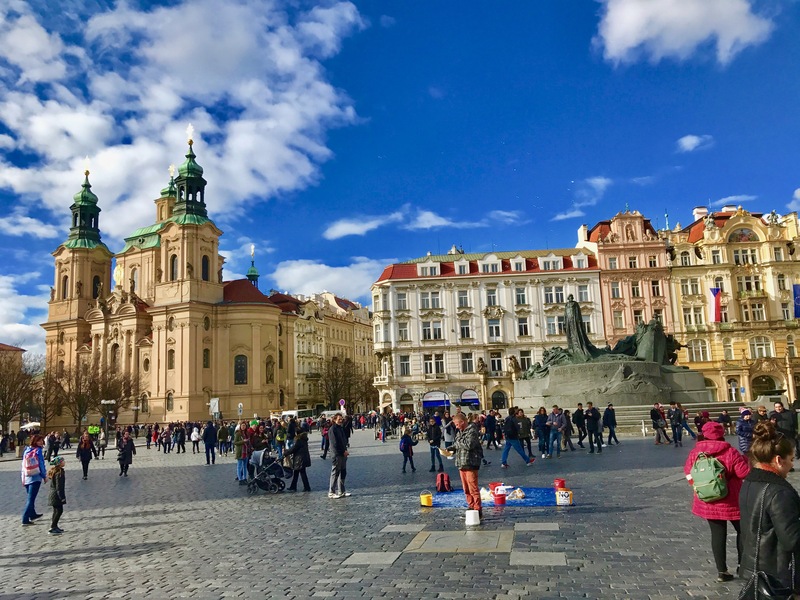 Prague was largely spared the Second World War and you can explore everything by foot through small streets and along numerous art nouveau buildings – perfect for a city trip! 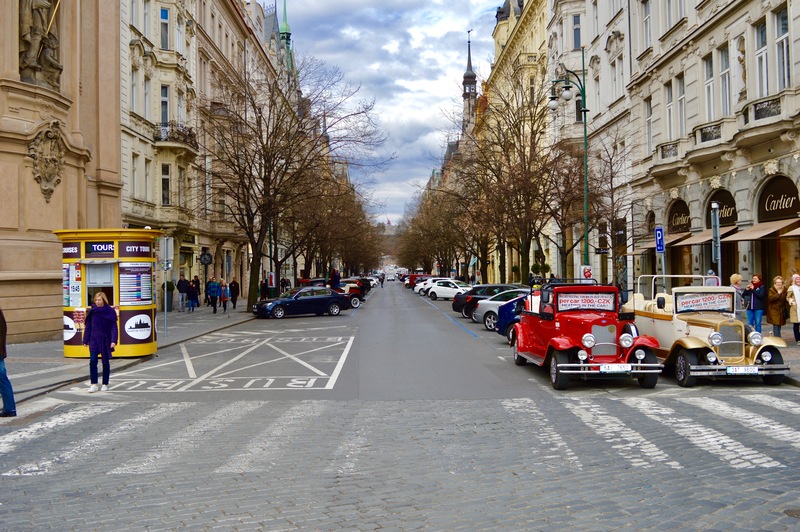 Wenceslas Square, as well as in the Dlouha Street.